The City of Tshwane has confirmed the appointment of global professional services company Accenture to replace PEU Capital Management as service provider for its controversial smart metering project. AfriBusiness, which is challenging the PEU contract in court, has however warned that the contract with Accenture may also be unlawful, as existing obligations are being transferred from the original contract to the new one. 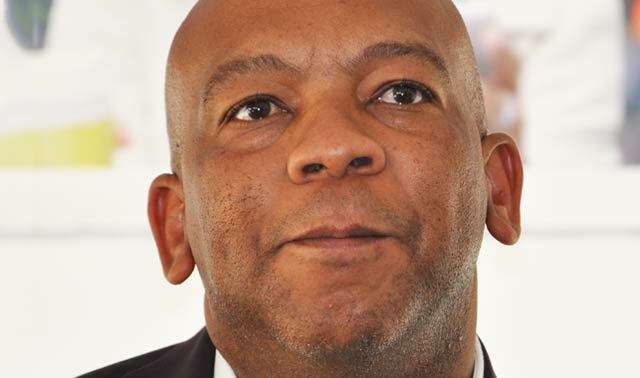 The appointment follows the announcement about a year ago by Tshwane mayor Kgosientso Ramokgopa that the PEU contract, which was concluded against the strong advice of then finance minister Pravin Gordhan, was unaffordable for the city and would be cancelled. The auditor-general ruled the full R880m paid to PEU in the previous financial year to be irregular expenditure, which means it was incurred in contravention of procurement rules and legislation. Moneyweb earlier reported that both the public protector and the Hawks are investigating the contract. Ramokgopa a year ago said a new service provider would be appointed in December 2015, but it was only done recently. When the tender was issued, it specified that the winning bidder would have to install 900 000 electricity prepaid smart meters in two years and manage it for several years thereafter. Neither the city nor PEU responded to questions about the terms of the cancellation of the original contract. It is, however, known that the original commission of 19,5% of all electricity revenue collected through the PEU system would be reduced to 9,5% in the transition period until the new contractor took over. The discounted amount would have been paid into an escrow account for the benefit of the city, provided the city complied with the terms of the cancellation agreement. Neither the city nor PEU responded to questions about the balance of the account, but Moneyweb understands it amounted to more than R400m at the end of April. It is not clear who would determine whether the city has complied in order to recover this money. One of the other conditions of the cancellation was that the city would buy PEU’s infrastructure from it at an amount to be determined by an independent valuer. The city subsequently made it a term of the new contract that the winning bidder would have to buy the infrastructure, seemingly trying to off-load the obligation onto the new service provider. The city has refused to provide any information about the identity of the valuer or the valuation. Moneyweb nevertheless learnt that prospective bidders were told it would cost them R950m. Its questions about the valuation also remained unanswered. AfriBusiness legal representative Willie Spies warned that the new contract would be just as unlawful. AfriBusiness, which is part of the Solidarity movement, has approached the court to review and set aside the contract due to unlawfulness. The organisation argues that it was entered into in contravention of municipal legislation and is invalid from the beginning. The case has not been heard yet. Spies said the lawfulness of the new contract is probably compromised as a result of the unlawfulness of the original contract. He said if the court finds that the PEU contract is invalid, the subsequent one with Accenture would also be. Democratic Alliance spokesman in council for finances Lex Middelberg said the party wants the details of the cancellation agreement with PEU and agrees with AfriBusiness that an invalid contract cannot be validated by merely replacing the contractor. “It remains irregular expenditure,” he said.